Let’s face it, kids receive homework assignments starting in kindergarten these days and after a long day at school (and your long day at work), the last thing anyone wants is a homework battle. Establishing homework routines as soon as your child begins school will help him or her develop the skills necessary to keep up with these important routines throughout high school and college. Here are some tips to help make homework easier for your child and family. Don’t force your child to complete homework as soon as he comes home from school. Kids need time to relax and decompress after school. Let them engage in physical activity (not video games or iPad) or perhaps get a nutritious snack before sitting down to homework. 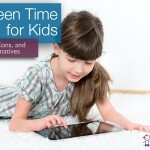 Choose a place in your home where homework can be completed free from distractions. Let your child listen to quiet music via headphones or use noise canceling headphones to minimize distractions if needed. If your child can complete homework at the table, great, but if he prefers the floor or a bean bag chair that’s fine too as long as he can concentrate & complete the work. Be sure your child has all the materials at hand needed to complete homework before beginning: notebooks, pencils, pens, calculators, etc. This will keep her from leaving her chair multiple times to retrieve necessary items. Participate in homework with your child in order to make it fun. If your young child is working on addition and subtraction, use real life interest objects such as his cars and demonstrate, “We have 3 cars. If we take two cars away, how many cars are left?” Learning should be fun! 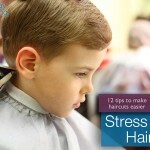 Give your child breaks as needed to relieve stress. If your child can concentrate for 15-20 minutes and then needs to go shoot some hoops and return to homework 20 minutes later, so be it, as long as the work gets done. Don’t accept procrastination, dawdling or excuses. Don’t save Friday’s homework for Sunday night when bedtime rolls around. Don’t bribe, instead reward. Let your child learn that a reward comes at the end of the day or week when all homework assignments are completed & turned into his teacher in a timely manner instead of offering a child a bribe in order to complete an assignment. Relate learning to every day routines. If your child is working on fractions, use your pizza pie as a teaching tool. If your child is working on learning Spanish, work on learning Spanish words for the clothing he is wearing that day. Make sure your child is aware of your expectations for her. Also be sure that your child is aware of the consequences of homework assignments not being completed. Keep an open line of communication with your child’s teacher. If you feel your child’s homework load is too heavy, or your child is having difficulty with a subject, discuss it with them. The sooner you speak with your child’s teacher, the sooner any issues can be resolved.